TULSA, August 3, 2017 /3BL Media/ - Northeast Waste Solutions (NeWSolutions) is a Tulsa-based solid waste collection and hauling company. The company was founded in June 2010 by stakeholders of Tulsa Refuse Inc., a company that held Tulsa's trash-hauling contract for 32 years. 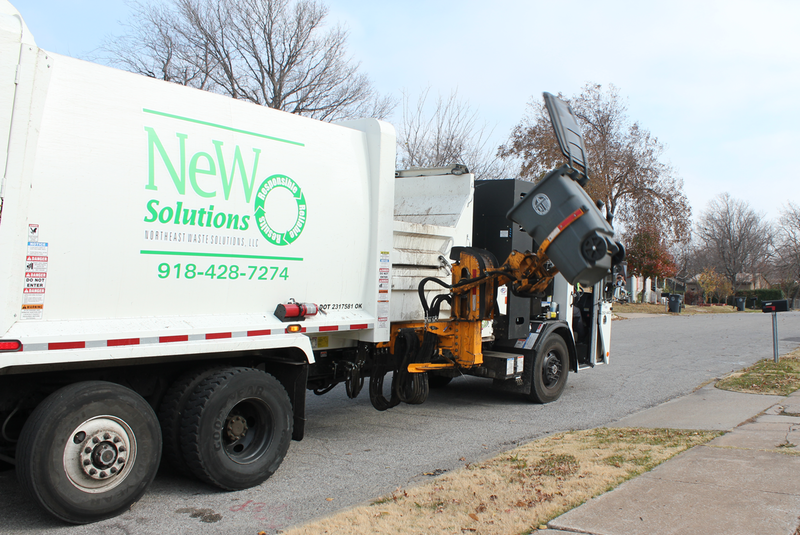 In 2012, the newly formed company was awarded the contract from the Tulsa Authority for the Recovery of Energy to be the service provider responsible for the City of Tulsa's residential refuse and recycling collection. Earth Day Events -NeWSolutions celebrated Earth Day with its employees by distributing environmental and recycling information from the City of Tulsa and The Metropolitan Environmental Trust (M.e.t.). Caelus is a sustainability consulting firm based in Tulsa, Oklahoma. Caelus offers an extensive range of sustainability consulting services which includes the CurrentState™ Sustainability Audit, VendorCheck™ as well as many sustainability reporting services. Caelus also manages the CaelusGreenRoom.com sustainability blog.